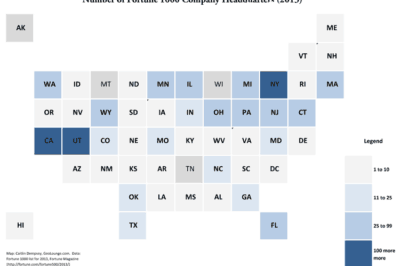 Map showing the number of Fortune 500 company headquarters per state with counts as labels. Map created in QGIS. Data from Fortune, 2015. 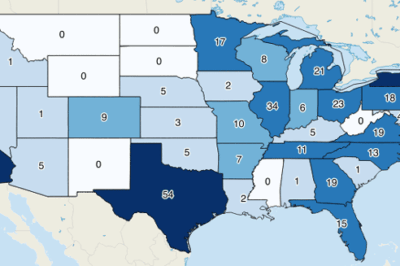 List of Fortune 500 companies by state for 2015.